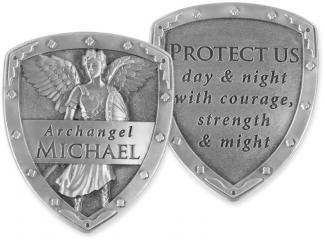 Each Heart of AngelStar Figurine is uniquely detailed for every special moment in your life. This Angel is holding a pale blue flower, a green shawl at her shoulders. 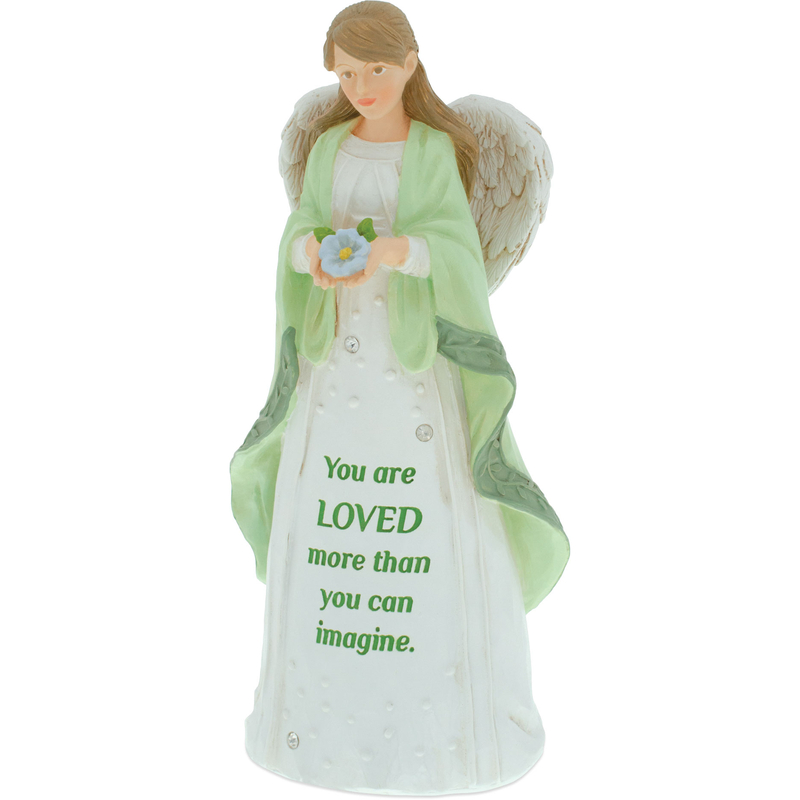 Her skirt reads "You are Loved more than you can Imagine" and her heart-shaped wings are a subtle reminder of love. 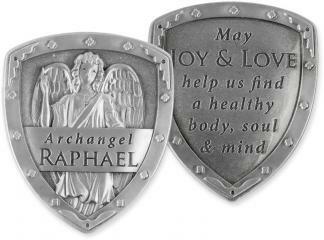 This serene beauty is wonderful way to celebrate the Angels in your life.